You can now connect Google Sheet with Datastore using Database Browser add-on and build a query from the wizard, execute query and present results directly into Google Sheet. Getting Datastore data into Google Sheet is NO more complicated. Step 1: Create a Datastore connection authorized with Google sign-in button. Step 2: Provide project-id of the Datastore project (refer Google Cloud Console), test and save the connection. Step 3: Build, Query and Present the results into Google Sheet as normally as you do with any other data sources. Check more documentation at how it works. Check out the current list of supported databases by Database Browser. It has been two years into Jivrus Technologies journey and immensely self-satisfying drive. Looking back, last year has given us a lot of successful experiences and learning with amazing new projects and the world of products. Thank You, Lord, for Your guidance and blessings. 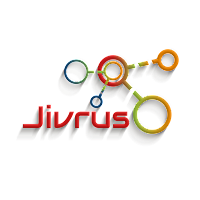 We have launched two new notable products (App Studio and Form Director) and significant additional features to existing products and enhanced list of the app support for integration product (Jivrus Integra Suite of products). You can now connect Google Sheet with Firestore using Database Browser add-on and build query from wizard, execute query and present results directly into Google Sheet. Getting Firestore data into Google Sheet is NO more complicated. Step 1: Create a Firestore connection authorized with Google sign-in button. Step 2: Provide project-id of the Firestore project (refer Google Cloud Console), test and save the connection.